On June 28, 1969, when the first brick was hurled outside of the Stonewall Inn in New York, there was very little thought that something bigger might come out of an angry riot outside a gay bar. In the 1950s and 1960s, the LGBT community faced an anti-gay legal system and police raids in gay-frequented establishments were frequent to the point of commonality. That night, as people were unjustly arrested and carted off by the police, something snapped that brought a dispersed community together in a tight fist against their oppression. The Stonewall riots remain significant not just as an act of defiance at the community’s refusal to accept violence and discrimination at face value but are also widely considered to be the most important event in the lead up to the formation of the gay liberation movement. One year after the riots, on June 28, 1970, activists took to the streets of New York to mark the occasion. The year after that, LGBT people marched in five other US states as well as in London, Paris, Berlin and Stockholm. The marches, which now occur globally in most countries where it is safe to do so, and defiantly in ones where it is not, remain significant within gay communities not simply in remembrance of the birth of the movement of the more modern approach to campaigning for rights. In Malta, LGBT rights are considered to be of the highest standards both on a European as well as a global level. The question is often levelled, then, as to why Pride marches are still important in the present day. 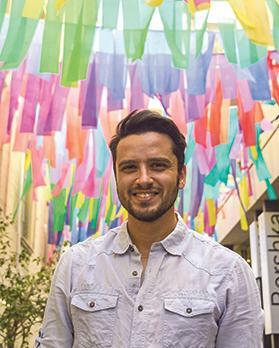 “What’s written in law and what happens in reality are two different realities that co-exist,” said Clayton Mercieca, community manager at Allied Rainbow Communities (Arc). Arc, an LBGT NGO created in 2015, came together to address the lack of social spaces in the rainbow community. While bars, clubs and parties targeting the LGBT are also a fixture on the island, Arc seeks to build on a more community-based approach and create spaces where LGBT people can simply hang out and socialise in a neutral space. Among its activities, Arc is the main organiser of Malta Pride. “There seems to be a misconception on what Pride is,” Mercieca says. Despite the promise of acceptance on paper, there are those who still struggle to accept that a sizable portion of citizens do not identify as straight and have no intention of treading lightly about it. “Unless the issue hits close to home, some people can be very desensitised about it,” Mercieca continues. For the community, Pride isn’t just an event that brings them together, but is also a space where sub-groups of the community can spotlight their issues. Rainbow families, LGBT refugees fleeing from persecution and the trans community are among those who are out to make their statements on a public platform. “People change their minds and their hearts once they hear our stories,” Mercieca says. For the young and the disenfranchised, Pride can also be a space to reach out to a community of your peers, especially for those struggling with their sexuality or facing difficulties coming out. “I remember going to my first Pride at 18,” says Mercieca. This year’s Pride week has not disappointed in trying to meet the needs of its community. Events have included discussions on policy and politics, mental health, sports tournaments, as well as fundraising for the training of further personnel at the GU clinic. Arc has also handed out directives and initiatives in order to have a greener Pride, promoting the use of reusables and avoiding single-use plastics at the event. The Malta Pride 2018 March & Concert is taking place tomorrow from 4.30pm in Valletta.